Olivier Giroud (£8.2m) can revive Chelsea’s form and edge his way into the plans of Fantasy Premier League managers. 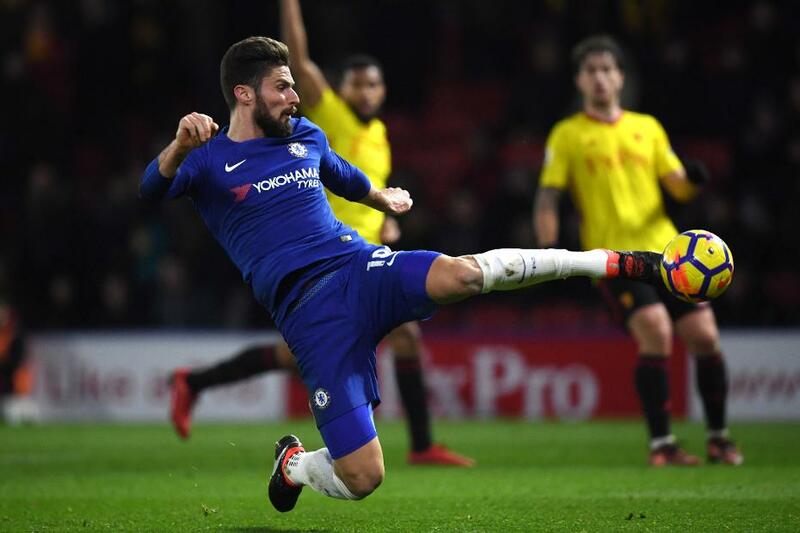 With Alvaro Morata (£10.4m) still out injured, Giroud is set for a full debut at Stamford Bridge against West Bromwich Albion on Monday night. 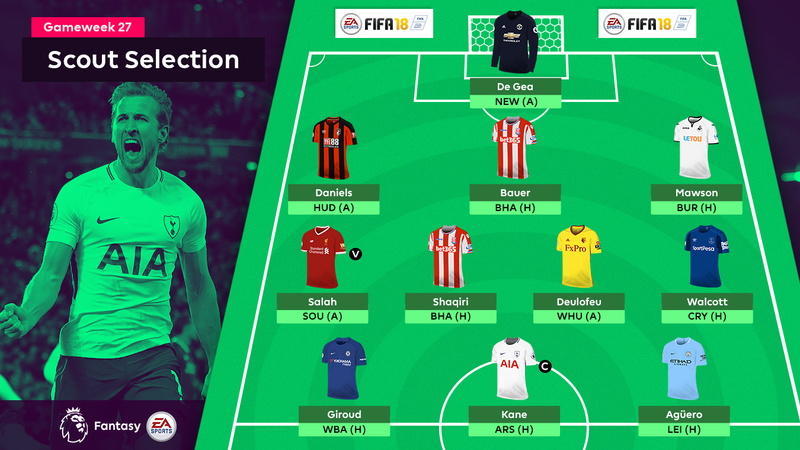 With a goal on average every 100 minutes this season and 99.5 minutes last term, the Frenchman slots into a powerful front three in The Scout’s select XI for Gameweek 27. The most-owned and top-scoring goalkeeper is seeking a PL-high 16th clean sheet at Newcastle United on Sunday. Newcastle are without a win in their last eight home matches and have scored only two goals in their previous four at St James’ Park. The AFC Bournemouth wing-back will hope to extend a seven-match unbeaten run for the trip to Huddersfield Town. Eddie Howe's side got a clean sheet in their previous away fixture, a 3-0 win at Chelsea. Furthermore, the Terriers have scored just one goal in their previous six matches, creating only one big chance. Since making his debut in Gameweek 23, no FPL defender has supplied more successful crosses or created more chances than the Stoke City right-back. He will bid for a third clean sheet in his fifth appearance against a Brighton & Hove Albion side who have failed to score in six of their past seven away matches. Unbeaten in eight matches in all competitions, the centre-back will go in search of his eighth clean sheet of the season at home to Burnley on Saturday. Mawson has produced a goal and an assist over his last three Gameweeks, while the Clarets travel to Wales having failed to score in five of their last nine Gameweeks. The Egyptian is as close as it gets to an ever-present in the Scout Selection. Salah has a goal or an assist in 15 of his last 17 Gameweek appearances and scored 16 points in the reverse fixture against Sunday's opponents Southampton. The Swiss makes a third successive appearance in the select XI, having produced eight points in a Gameweek 26 defeat by AFC Bournemouth. Shaqiri’s set-piece delivery could be key against a Brighton side whose 12 goals conceded from corners are the most in the PL. The Everton winger has supplied two goals and an assist in his first two home appearances. Walcott’s right-wing combination with the fit-again Seamus Coleman (£6.4m) could pose the biggest threat to Crystal Palace at Goodison Park. A 13-point score in Monday’s victory over Chelsea revealed the winger as an in-form option for FPL managers. He is set to start in a Watford front three that will test a West Ham United defence without a clean sheet in their last eight Gameweeks. A 26-minute appearance from the bench in Monday night’s defeat at Watford sets the Frenchman up for a full Chelsea debut against West Brom. Giroud will face a Baggies defence with four clean sheets from their previous 21 matches. Aguero is the second most-sold forward behind Roberto Firmino (£9.2m) since his two-point score at Burnley, but has outstanding home form ahead of an Etihad Stadium meeting with Leicester City. The Argentinian has seven goals in his past four home Gameweek outings and 10 in his previous six at home in all competitions. The Gameweek 12 defeat at Emirates Stadium is the only occasion that Kane has faced Arsenal in the Premier League and failed to score. Arsenal were also the last side to prevent Spurs from scoring, but are without a clean sheet in their last eight Gameweeks, so Kane is our Gameweek captain.